Bob and Alisha adopted Slider in November of last year. 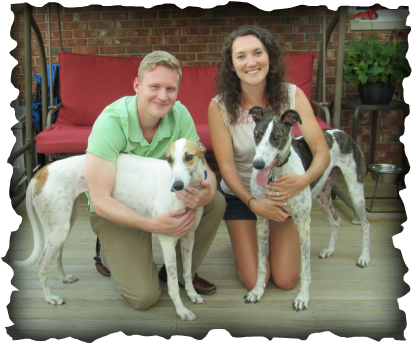 Bob wanted another greyhound but they waited for the right dog and knew it was Nicki, she is reserved and with Sliders VERY outgoing personality they make a perfect fit together. I'm sure we'll see a lot of this family in the future.